It’s no easy feat to finish first in your class, but Michael Powell, Matthew Lambrych, Claire Sheen and Maggie Sehring made the grade—one at each of the Syracuse Diocese’s Catholic High Schools. These 2014 valedictorians are now pursuing their academic dreams in college. 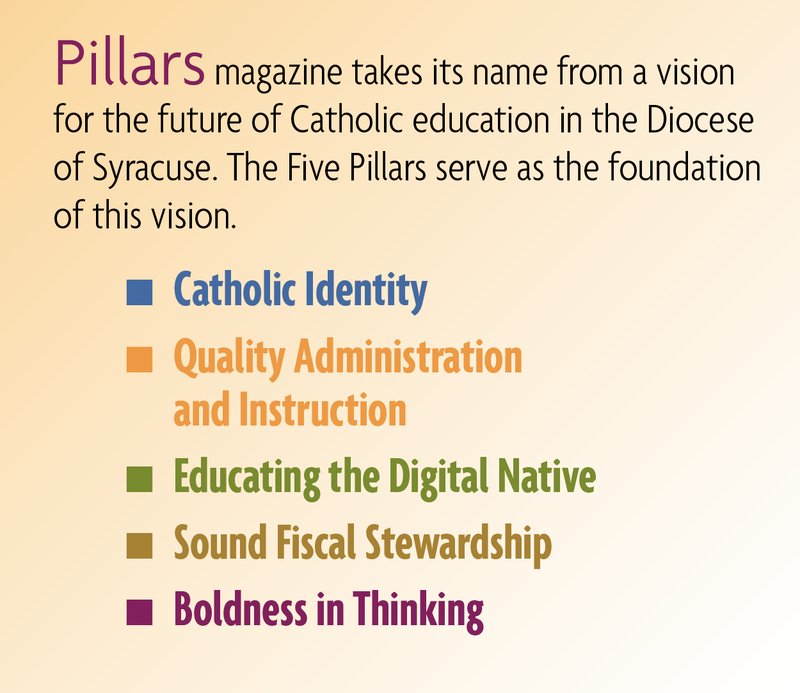 While two chose higher education at Catholic institutions and two chose public universities, they all have one thing in common: the strong Catholic educational background that helped to get them there. 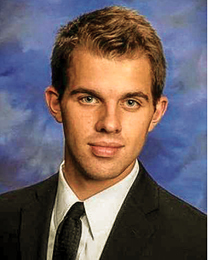 Powell, 2014 valedictorian of Seton Catholic Central, is thankful for his Catholic education, which began with St. John the Evangelist School in Binghamton, New York. Powell is attending the University of Scranton, a Jesuit University in Pennsylvania, which he said ensures that Catholic values are central in the learning experience and are evident in the atmosphere around campus. “Now that I am in college, I am very appreciative that my prior education taught me to understand —rather than just memorize—what I was learning, to manage my time and to have a passion for what I do,” he said. When deciding on a college, Powell, whose faith is very important to him, liked the feeling that he could continue to be close to his faith at the school even though college would be such a new experience for him. Powell has been accepted into the Special Jesuit Liberal Arts (SJLA) honors program at the university. The program’s courses encourage skills such as rhetoric and critical thinking, and teach Jesuit mentality to create well-rounded individuals. “I am really enjoying my classes in this program, and I look forward to learning more about these fascinating subjects,” said Powell. Powell is majoring in biochemistry/cell molecular biology and is hoping to pursue a minor in philosophy. He is not sure what profession he wants to pursue. “I have an interest in health care and am currently in a health profession track, but research and teaching are also very interesting to me,” he said. 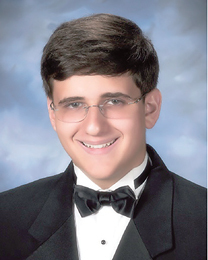 Lambrych, 2014 valedictorian of Bishop Grimes Jr./Sr. High School, is attending Binghamton University. “I chose Binghamton University for many reasons, chief among them that it was the most financially sound option available, and it also has an incredible level of academic excellence. I was also accepted into the Scholars Program, which seemed a fantastic opportunity, and one that I wished to take advantage of,” said Lambrych. Before enrolling at Bishop Grimes, Lambrych attended St. Matthew’s School in East Syracuse, New York, (and later St. Daniel/St. Matthew Academy when the two schools merged) for his elementary school education. Lambrych attributes a large part of his scholastic success to his Catholic schools and teachers. He said he also took advantage of the Honors and Advanced Placement courses offered at Bishop Grimes and took as many classes as he could fit into his schedule. “All of this helped to strengthen my knowledge in the various subjects and, though the workload was strenuous, it helped me to grow as a person and scholar,” he said. Lambrych is undecided on his major at this point, but he is interested in medicine and said he will probably focus on biological sciences. 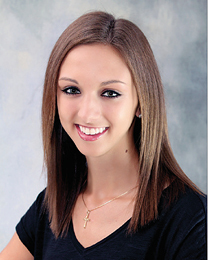 Sheen, 2014 valedictorian of Bishop Ludden Junior/Senior High School, is attending the State University of New York at Geneseo where she is double majoring in biology and anthropology. A recipient of many scholarships, Sheen attributes her academic success to her trusting and supportive family and her Catholic education. Sehring, 2014 valedictorian of Notre Dame Jr./Sr. 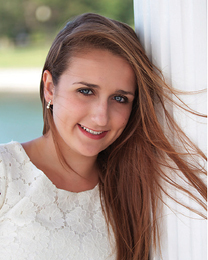 High School, is attending Boston College in Chestnut Hill, Massachusetts, and majoring in math and physics. Sehring said she felt at home the first time she visited the campus and that several things influenced her decision to enroll. She was attracted to the fact that BC is a university known for its academic excellence and its roots in Jesuit traditions. Sehring attended St. Peter’s School in Utica, New York, before attending Notre Dame and believes the values she learned in school have helped her in college and will later assist her in her career.